Educators often feel pressure to be perfect, but that is not something we should strive for. Have you ever stood at the front of your class and felt a vibration, an energy pulsing through the room that made you stop thinking about assessments, or parents, or lesson planning, or Language Arts, or anything else that comes with being a teacher, but instead just watched what was happening with wonder? Every now and then, when my students are working on a project that moves them beyond the walls of my classroom and school, and into a place they haven't been before; a place that has a problem needing to be solved, I get to feel this vibration. I'm talking about when students don't need their teacher to work, or grades to make them sweat. They don't need the fear of punishment to stay on task, because staying on task means getting closer to solving this problem. I love watching a group of students' eyes light up when a group member has a great idea. I also love watching a group of students get into a heated argument, and they figure out themselves how to cool it down. I love when I go to tell a kid to quit texting in class, and he shows me his cell phone, and on it is the phone number of a manufacturer he is trying to contact for the project. I love hearing kids tell me they could not fall asleep the night before because they couldn't stop thinking about how they want to edit their documentary about WW2 veterans. Or when my principal comes into my room because she hears a lot of noise, and finds kids huddled around laptops and poster board deep in discussion. I love that a group of my students impressed a local company so much during a project they worked on with them, that this group of students were offered paid internships at this company. I love that I don't have to lecture all day everyday, and print out hundreds of worksheets to bore my students with. And I love how my students aren't confined to my classroom during class, and that they can be trusted to work hard in the hallway or outside. I love that I teach at a school that is a choice for students to go to, and my school starts at 6:55 in the morning, and yet I hardly hear a word of complaint from students who wake up at 5am to catch the bus. I love having chairs that roll in my room, and I love seeing a kid who was scared to death to speak in front of 5 of his peers in September, but has no problem giving a speech in front of 400 in May. I love that teaching is way different than I thought it was going to be. And I love that I love my job, and this is due in large part because I teach in an environment that embraces project based learning. 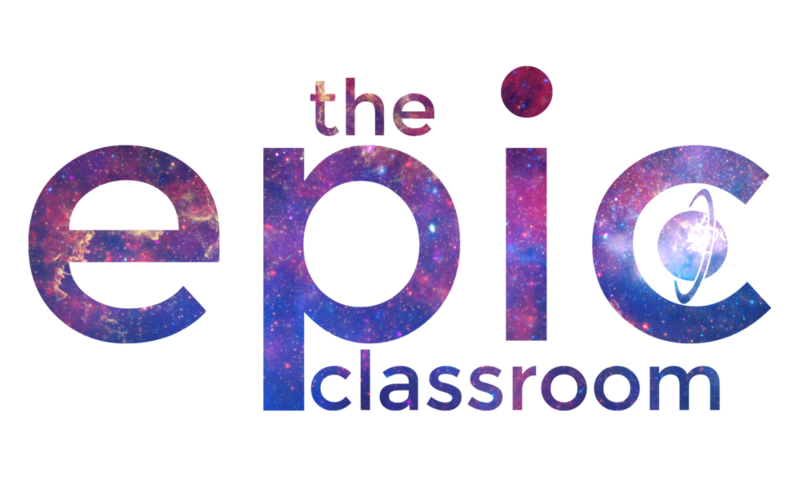 Sign up with your email address to receive the latest videos, writing, and resources to make learning epic.